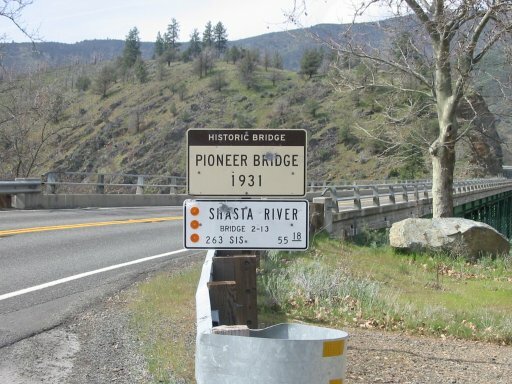 Some road-geeky sights in Siskiyou County, California. 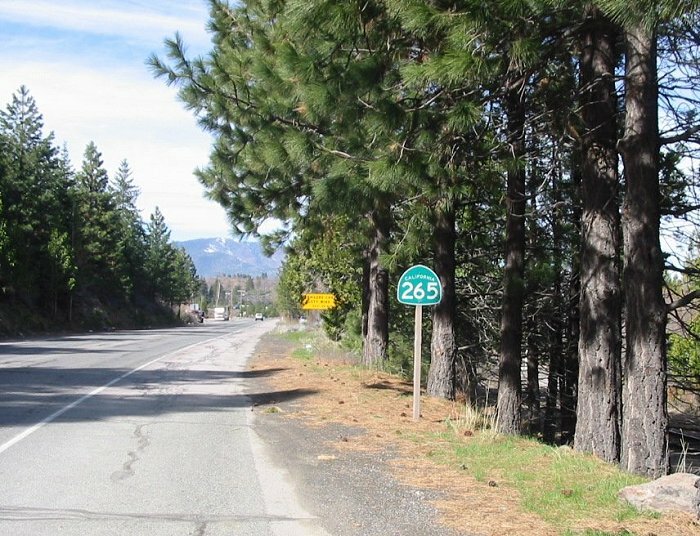 This is on CA 263 (once US 99) north of Yreka. 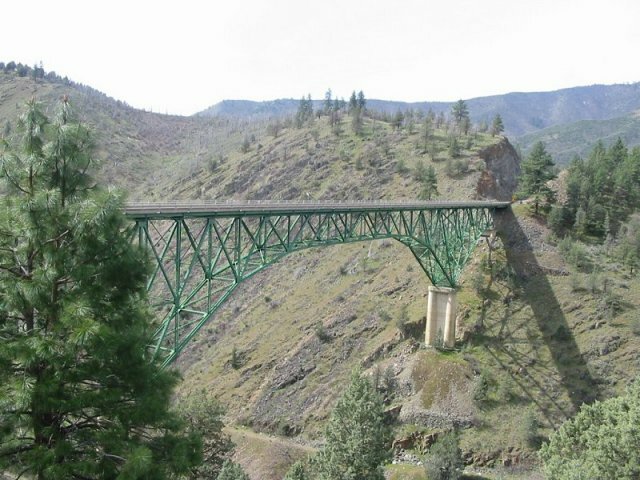 Shot of the bridge and the Shasta River canyon. Somebody got artistic (or lazy) with this CA 263 shield. Note the difference in the shape of the 2 CA shields. 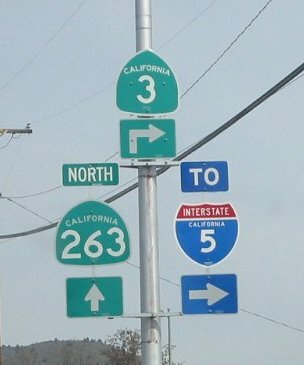 For some reason, CalTrans decided to sign hidden CA 265 north of Weed - all 1/2 mile of it. The SUV you see in the background is very near the end of it, about to enter the I-5 ramp. I finally got a picture of this odd CA - 3 shield. 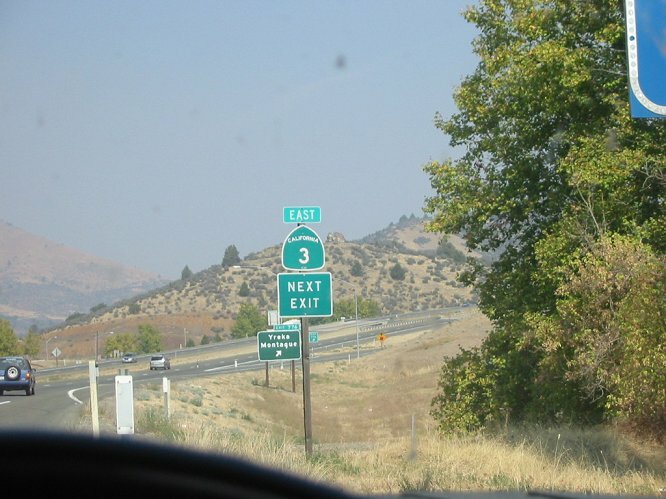 The shield is located on northbound I-5 at the last Yreka exit. Note the normal CA - 3 shield in a picture above this one.